Bonds provide a regular return on your savings by lending money to more established brands over a set period, typically 3-4 years. Bonds are unsecured, non-convertible and do carry risk. Bonds are usually transferable though liquidity is not guaranteed. Target | £750,000 - Interest Rate | 8% p.a. - Fixed rate Investment Bond. 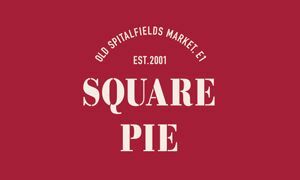 Square Pie started in Old Spitalfields Market in London’s East End and we are now a leading name for gourmet pies in the UK. We have a fast growing restaurant and grocery business and last year over 700,000 people enjoyed our food. We’ve always been obsessed by quality and never cut corners, winning 7 awards at the most recent Great Taste Awards and we’re on track to hit sales of £5 million in FY2015. Is the rate of return fixed? Yes. Bonds offer a fixed rate of return. Full information about the interest rate is set out in the Invitation Document, which can be downloaded on the company’s pitch page and should be read carefully. UK residents aged 18 or over, or companies or trusts residing in the UK for corporation tax purposes, can invest in bonds. You will need to be a registered member of Crowdcube to invest in the mini-bonds listed on the Crowdcube platform. How often will interest be paid, and how do I get it? The interest payment schedule for bonds varies from company to company and is set out on the pitch page for each bond offer, or in the bond’s Invitation Document if it has one. It’s important to read the pitch page carefully to understand what each bond is offering. It’s important to read the Invitation Document carefully to understand what each bond is offering. Interest payments will be managed through the Crowdcube platform. Investors will be required to submit bank account information on Crowdcube in a timely manner before the first interest payment date. The Eden Project raised £1.5m in October. The investment will be used to finance the re-purchase of two farmhouses and associated outbuildings on the edge of the site and restore them into a venue for teaching quality horticulture, cookery and food production. Headed up by Hugh Fearnley-Whittingstall, River Cottage is a well established business and issued a bond to raise funds to expand its restaurant arm, River Cottage Canteens. Chilango, the chain of fast-service Mexican restaurants, raised £2 million from 709 investors in our first ever bond offering, 8% p.a. over four years. Since that success, Chilango has opened another site and two more are in development. Read more business case studies and view pitch highlights for some of Crowdcube's successfully funded bonds. Plus find out more about existing investors who are already receiving and benefiting from fixed rate interest payments. Investors recieve £93,000 in interest payments from Chillango and River Cottage Bonds. If you have already invested once, this article provides clear guidance and insight into building a bond portfolio now and in the future.